Preorder for the oral version of The Red Rooster Cookbook starts on Wednesday. 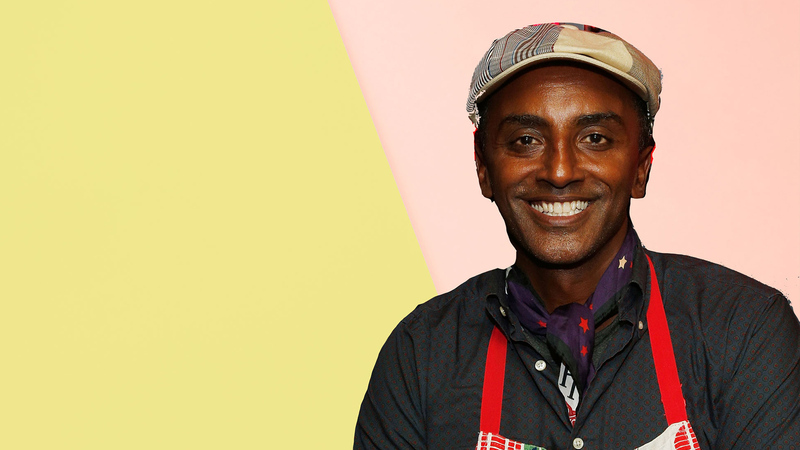 Whether judging on Chopped or hosting on No Passport Required—not to mention running restaurants all over the world—Marcus Samuelsson always has something exciting going on, and his latest project deals in a space that’s new to his expansive repertoire: audio. This June, Samuelsson will release an immersive, exploratory audio cookbook. Called Our Harlem: Seven Days of Cooking, Music and Soul at the Red Rooster with Marcus Samuelsson, the project aims to revolutionize what an audio cookbook can be. Backed by Audible, the world’s largest producer of audiobooks, Our Harlem will use Samuelsson’s print cookbook for inspration. Drawing upon recipes from The Red Rooster Cookbook: The Story of Food and Hustle in Harlem, the Audible Original production will also incorporate the sounds of Harlem—from jazz and gospel music to stories of icons like Dapper Dan and Lana Turner. The audiobook will be seven hours long, organized into days of the week. Each day, Samuelsson will cook with a different guest and discuss a theme that tells part of Harlem’s story. One episode might focus on the way in which the Great Migration from the South brought mac and greens to Harlem. Another could illustrate the reality of rent parties, which helped local residents make a living (and provided inspiration for Marcus to open Ginny’s Supper Club in the basement of Red Rooster). Through Our Harlem, listeners will be introduced to characters from many of Harlem’s historic institutions, from the Apollo Theater to Charles’ Country Pan Fried Chicken. They’ll be invited to cook along with Samuelsson while also learning about Harlem’s rich history. Our Harlem becomes available for download on June 27th and can be preordered now at www.audible.com/ourharlem.